~Even with the sad ending to Jonathan Franklin’s short career, the Packers might have their best depth at RB in the Ted Thompson Era. True, that can end quickly with injuries. Just look at San Francisco, who this week alone lost number two RB Kendall Hunter for the year with a snapped Achilles, and then also lost LaMichael James to an arm. He’s not lost for the season, but these are injuries before there’s any real contact in the preseason. It just illustrates how fluid “depth” really is. Nobody should know better about that than Cheesehead Nation. That being said, as it stands right now, the Packers have a guy who nobody projects to even make the roster who I feel is capable of being a thousand-yard rusher in today’s NFL. He’s a guy who had over 1,100 yards and 12 touchdowns last year in, perhaps, a tougher conference than the NFC, that being the SEC. He had five 100-yard games last season, including one against #7-ranked Auburn, scoring a 17-yard touchdown. Also scored a touchdown against the fine defense of Alabama last season. I introduce you to Rajion Neal, from Tennessee. Projected by many experts to be about a 4th, 5th, or 6th round prospect, the 22-year old went undrafted. The running back position has certainly been devalued recently in the NFL, for various reasons. But that means there’s plenty of talent available late or undrafted. He reminds me a bit of the Redskins Alfred Morris, who two years ago was drafted late in the draft when ESPN was interviewing clowns and magicians, ignoring the actual draft. Morris is 5′ 10″, 224 while Neal is 5′ 11″ and 220. Morris has proven to be a durable workhorse already in the NFL for Washington, paired with Robert Griffin III. Neal won’t have to be. But he does face tough odds just making the team behind Ed Lacy, James Starks, and DuJuan Harris. The Packers probably will only keep three on the roster, making the Practice Squad a possible September destination for Neal. However, last year Harris wasn’t able to make it out of camp, and as the Niners just found out, guys can go down. So keep an eye on #34 during open practices and exhibition games (called preseason) this August. The first one comes at Tennessee, coincidentally, for this former Volunteer stud. What a lot of people fail to realize is that there are a lot of breaks, luck, that go into a longshot making a roster. If Neal gets decent blocking, he’s going to without question, show why I am so high on him. But if the blocking by the backups falls apart and defenders are bursting through left and right, it’s going to be hard to impress. I don’t know how it’s all going to play out, and I surely want the Tremendous Trio to all make it through healthy, but I really want to see #34 make the roster and get a chance to show that he can be not only just a “player” in the league, but he can be a good player in this league for a long time. It’s time for your input in our Fan Survey, Training Camp Edition. Which Safety Combo (barring injuries, of course) do you feel would be the best combo for the Packers by late in the season? After Jordy Nelson, Randall Cobb, and Jarrett Boykin, who will be the next-leading pass-catcher (number of catches) this season? After Nelson, Cobb, & Boykin, who will be the 4th leading pass-catcher this season? If not Matthews, who will be the Packers Defensive MVP this season? Who do you think will be the best center by late in the season? Not to say who starts game one, like Jeff Saturday did two seasons ago. But, rather, who proves to be the best center by the final month of the year and heading towards the Super Bowl. Who do you think wins/plays center this season, come December? If pretty healthy, for once, this year, how high will the Packers finish in overall team DEFENSE this season? The Packers should only be underdogs twice on the season, at Seattle and at New Orleans. Last time at New Orleans, the Packers defense gave up about 50 to Brees, who was statistically perfect on the night. Last time in Seattle, well, the replacement scab official Lance Easley took the game away from the Packers. Which one will the Packers pull the upset on this year? Packers Upset: which of the 2 games this season that they will be UNDERDOGS in, do you think they have the best chance to pull the “upset” win in? ~Head injuries. Concussion lawsuits. Money. These are the reasons that Roger Goodell has overreacted over the past few years and made the league focus on the concussion protocol and more importantly to the game, the penalties for hits to the head. The knee injuries are more important, devastating, than the concussions. And they are a lot more gruesome for both the player who’s leg got demolished, and all the fans who had to stomach seeing it. I turn away now every time I see a safety come up and duck his head down and go low into a tight end or wide receiver who’s gotten up the seam past the linebacker or cornerback. According to the NFL, this is how they want safeties coming up and “tackling” defenseless receivers. If there are many more hits like this, I am going to tune out. It’s happened before. It happened to Jordan Shipley about four years ago and to Falcons FB Ovie Mughelli also about four years ago. But last year, you had young safeties intentionally targeting defenseless receivers (like Randall Cobb) in their knee, planting or not planting. And they openly, publicly admitted they were doing so. Another “textbook” form tackle per the NFL. When a safety (any player) actually ducks his head, points his eyes to the grass, to deliver a “tackle”, it is NOT a proper tackle. It’s not safe. Because this can happen. What I really wish for is the guys who did this, Matt Elam here, TJ Ward to Gronk, and DJ Swearinger to Keller, and Louis Delmas to Mughelli, that THEY would suffer the serious concussion for lowering their head and leading with the helmet. Why did Nick Collins suffer the career-ending neck injury and not these ACL-hunters? And their reason was simple: They didn’t want to get fined ($). Or penalized. This is clearly Goodell, and NFLPA President Smith’s fault. It’s fine that they are trying to protect the players brains now. That’s obvious. As someone who had three concussions back before they were taken so seriously, I know that they can impact the memories, or worse. But to, once again, be slow to react, instead of pro-active, the NFL deserves some more class-action lawsuits. The agents for Cobb, Gronkowski, Dustin Keller should bring one right now. and protect all their clients who catch passes. The safety could have lit Keller up anywhere. He could have simply tackled him at the waist, even using his arms to wrap him up. But these young safeties, partly because of the fines, are learning to dive into the knees as there are never any flags thrown for that, nor fines levied. Who’s responsible for that? Goodell, and DeMaurice Smith. I get tired of the fans and certain media types and ex-players who pretend that the defense has nowhere to hit anymore, that’s it’s a powder-puff game. Put any fan out there and let him run a route, and throw him the ball over the middle. They won’t last til a second play. As far as their being no target left to hit, that’s also bogus. The waist area, chest are more than enough target that even at a high speed, a safety should be able to hit the defenseless receiver in. Yes I know that sometimes now the trigger-happy zebra’s throw their yellow hankies when they see a hit to the chest area, or that the receiver might tuck his head a bit upon expected impact, and actually lead to his head, facemask, or shoulder getting hit. And then the poor safety gets penalized for what was intended to be a clean and safe hit. Again, this is on Goodell, Smith, and the NFL Safety committee. These guys are all motivated by the bottom line in business. What’s the bottom line in business? Here’s a clue. It’s green. It took lawsuits, and a PBS investigation into the falsifying records from within the NFL about concussions and their dangers. Lawsuits. Money. Bottom line. The money-men. Lawsuits spark action. The NFL is the most powerful business in America, outside of the alcohol, tobacco, and firearm businesses. They don’t react to public pressure, articles, protests, polls, petitions. They react only to one thing, and that’s the bottom line. If not a lawsuit, it takes an injury to a golden boy at the QB position, like what happened to Tom Brady in the 2008 opening game. 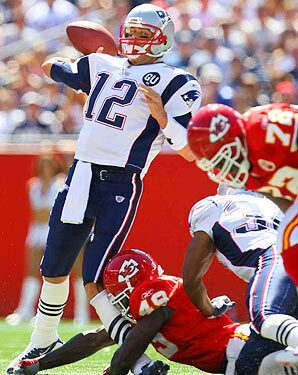 In that game, you’ll recall, the Chiefs safety Bernard Pollard blitzed in and dove into Brady’s planted knee after releasing a pass, and tore his ACL, ending his season in the first game of it. This, 2008, coming off the all-time record setting season of 50 touchdowns and the 16-0 regular season record. Even though I dislike the Patriots, this is not something I ever want to see. But at least it caused the NFL to put in a rule, penalizing this type of hit. And it has helped. After that, the NFL put in the “Brady Rule”. As much as I hate the Patriots and don’t really like Brady, I think the rule is a good one and am glad for it. I think penalties should be even more severe for it. But why didn’t the NFL put the rule in sooner, like two seasons earlier when the Bengals Carson Palmer had his ACL blown up on his first pass of the playoff game against the Steelers? Those Bengals were on the rise, were going to beat Pittsburgh in that playoff game, and were headed upwards. After that hit, everything changed for the Bengals. Or when a Viking defensive lineman did it to Seattle’s Matt Hasselbeck years before that? First play of the first playoff game for Carson Palmer and the emerging Bengals, and the DL went low into Palmer’s planted lead foot, and popped his ACL. It ended Carson’s game, season, and essentially career as a star QB. He’s been closer to Rick Mirer than Troy Aikman ever since. The NFL was slow to react to the growing danger of the horse-collar tackle. Dallas safety Roy Williams kept doing that more as he got even slower and more guys got behind him. He eventually snapped Terrell Owens’ (of the Eagles) foot, breaking it and ending his season. Owens did, bravely, make it back for the Super Bowl, weeks earlier than expected. I’ll tell you this: I don’t like seeing anyone get hurt like I saw Cobb, Gronk, Keller get hurt last year. I don’t like seeing Adrian Peterson get his ACL blown up like in 2011. I don’t even want to see it happen to Vernon Davis. But if it happens to a Packer receiver or tight end, again, this season, I might lead that class action lawsuit. ~As training camps start to roll across the National Football League, ending Aaron Rodgers’ golf season, it’s time for me to make my first seasonal prediction for the Packers. Obviously, there will be some injuries, hopefully minor. Those will factor in my end of Preseason predictions. For now, here it goes, game by game. I think the Packers can win this game, and would put it at about 35%. But I’ll expect the Seahawks at home to punch in their drives for touchdowns three times, whereas I can see the Packers settling for three field goals. They struggled in the red zone last year, including with Aaron Rodgers under center. If they can fix this, I can see a 14 win season. But for this game, in that loud stadium, I’m not ready to proclaim that fixed. Seattle’s three touchdowns and one field goal beat the Packers 3 field goals and one touchdown, 24-16. Good points for Mason Crosby though if you have him in your fantasy league. Packers fall to 0-1, for the third straight season. Seahawks win 24-16. That’s right, a shutout. For the Packers. Extremely rare. But the defense will be ticked off after the loss in Seattle. And they will have an extra three days to prepare for this matchup. Geno Smith? I think he’s never going to even come close to the successes that both Vince Young and Tim Tebow had. And they’re both out of the league. Perhaps Michael Vick will be the QB though, and if so, I’d change this prediction to 27-10. But with Geno, I can see him slinging a few to Sam Shields or Traymon Williams. Heck, maybe even a Packer safety will make a catch. Packers move to 1-1, for the third straight season. Packers win 31-0. Although the Seahawks game might be the most exciting game of the season, the most hype, here is the first somewhat-important game of the season. Losing here would give the Lions hope, possibly springing them to a good season, and it will certainly put the Packers near or at the bottom of the division, albeit early. Remember last year in Detroit was a disgusting shellacking by Detroit on the Rodgers-less Packers on Thanksgiving. It was the most one-sided loss I can remember for the Packers, dating back to the 2006 home loss to the Patriots in a game that Favre exited injured, and Rodgers came in and broke his foot, but finished the game. The Lions are loaded on offense, and their front-four on defense is legit. If both teams are healthy, I’d expect the Packers to win 34-24. I do expect the Packers defense to be a lot better this season, even a strength, if they are relatively healthy. Packers win and move to 2-1, tied with the Bears at the top of the division. 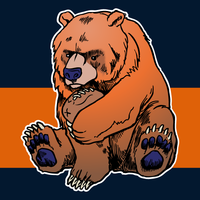 Speaking of the Bears, here we go to finish the first quarter of the season. It will still be September, but this is a big game early. We’ve seen teams get off to bad starts, and snowball downwards. And we’ve seen teams get off to good starts, even lucky wins early, and it propels them to a nice 10 or 11-win season. This game could have ramifications like that. All things considered, and realizing the Bears loaded weapons at WR and TE are big, tall and physical, I still like the way the Packers matchup with the Bears. The week 17 thriller last year was against a Packers team who was very banged up, and with a rusty Rodgers and Cobb. This week, I expect the Packers to make a statement and put a beatdown on the Bears to the tune of 38-20. I can see Rodgers lighting the Bears up on a nice September afternoon. Packers win, go to 3-1, and prepare to run away with the division like in 2011 and 2012. The Vikings are a very interesting team. On one hand, with shakiness at QB, I can see them being as bad as 3-13 or 4-12. On the other hand, they’re extremely talented at RB, WR, TE, and the OL. With good QB play, I can see them going over .500 and contesting for a playoff spot, like two seasons ago. Matt Cassell is the best QB for the Vikings right now, in my opinion, without question. Who will start, in week four, is a total crapshoot, but I can see the Packers winning 27-17, going to 4-1 with a perfect 3-0 division record. I was hoping the Miami game would be in December to give Cheesehead Nation a nice winter get-away. But it’s in mid-October. It probably will still be about 80 degrees and humid, which might pose a challenge to the Packers. 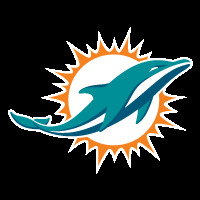 While I like Ryan Tannehill, I don’t see them winning more than six games this season under former Packer offensive coordinator Joe Philbin. This won’t be one of those wins. Packers win their fifth straight game, 31-13, and move to 5-1, tied for the best record in the NFC. Cam Newton’s Panthers figure to have a step-back this season after surprisingly winning the NFC South last year. They lost all their experienced receivers, and their best player on defense, Greg Hardy, could very possibly be either in prison or at least suspended. I think Carolina will struggle this season, and this won’t be one of their wins. Look for the Packers to have another home blowout win here, to the tune of 37-17. Although the Panthers have a good defense, it’s no match for the high-octane Packers offense. Rodgers and Eddie Lacy will roll. Packers win their sixth straight, moving to 6-1 as they travel South to the Big Breesy. This game will pit the 6-1 Packers against the 5-1 Saints (they have a week 6 bye), in a game that very well could have playoff seeding ramifications come the end of December. The Packers have had success recently against the Saints, but only in Green Bay. But both wins, in 2011 and 2012, were close games in which Brees had plenty of success. The last time these teams and Rodgers met in the Superdome, it was blowout city as Brees carved up the Packers like a brain surgeon. It was as good of game as Brees has ever had. Like I said, I do expect (or hope) the Packers defense to be better this year, even a strength. But this is not the guy, or offense, that they tend to fare well against. If Rodgers is not perfect, I don’t see the Packers winning this one. Now he could be perfect, but I’ll go with the odds here and say he’s close, but not perfect. Saints win 31-27 in a great NBC Sunday Night showcase game. Packers head into bye off a loss, but at 6-2. The Bears will be angry after the Packers spanked them in their home den six weeks earlier. But this is Jay Cutler, and he doesn’t seem to enjoy playing in Green Bay. With Julius Peppers now after him too, it’s not going to get any easier for Cutler at Lambeau. He is happy he won’t be throwing any passes to Nick Collins or Charles Woodson anymore. But a different #21, Haha Clinton-Dix, might be lurking back there. So will Sam Shields and Tramon Williams. The Bears did, yes, win at Lambeau last year, but it took the broken collar bone of Rodgers for them to be able to do that. The Packers, with Seneca Wallace, almost won that game. If all bullets are available to the Packers (which we know they won’t be, but which bullets are missing is the key), look for the Packers to put on another beatdown of the Bears, on national TV, 38-14. Two Cutler touchdown passes to Alshon and Brandon don’t offset his two interceptions and one strip-sack fumble. Packers go to 7-2. Bears fall to 5-4. This is a rematch of the atrocious home loss last year by the third string Scott Tolzein Packers. The Eagles are the best team in the NFC East and probably will win that division, unless the Giants bounce back up. So this is a playoff-type game. Nick Foles had perhaps the greatest season for a QB that nobody talks about last year. He put up numbers that used to get MVP talk for. Runningback Lesean Shady McCoy is great, and he hurt the Packers last year. However, I think the Packers are about 10 points better if both QB’s are healthy. Packers win 30-20, and move to 8-2, tied with the Saints, Niners, and Seahawks for the best record in the NFC. Even without the randomness of injuries, who knows who the Vikings QB will be come late November. Again, I think Cassell is decent, and is their best option. He could play well and they could be 6-4, even 7-3 if things go well. Or they could be 2-8 at this point and on their second or third QB already. They usually get up for the Packers visit. But this won’t be the fake-noisy Metrodome. This will be the Gophers outdoor TCF Stadium. If the Vikings are closer to 2-8 at this point in time than 7-3, there will be more Packer fans there than normal. I like the Packers in this one, as no Jared Allen will help Rodgers. Packers win 24-17 in a close game. Packers move to 9-2. Finally, will we have a Brady vs Rodgers matchup? I bet not. I bet one of them is out injured for the game. But betting aside, if both guys are here, this is a delicious game. And it’s why CBS protected this game so it wasn’t stolen for primetime. Rob Gronkowski’s injury was one of, if not THE, biggest impact injury of the whole NFL last year. He suffered a similar hit as Randall Cobb did, which I have said is dirty although legal. But Gronk’s was much worse. I don’t think Gronk will ever be the same as before. For sure mentally he won’t, but physically he won’t either. Cobb, physically, should be. Anyway, the Patriots added not one but two great cornerbacks this off-season in Revis and the big beast from Seattle Brandon Browner. That’s a great combo. So I expect their defense to be good once again. Still, the Packers are a little better in the running and passing game, and at home. Packers win 27-24 to close out November at 10-2, tied for the best record in the NFL and NFC with the Saints. I believe Atlanta will bounce back from a down year last year. I think they’ll win about 10 games, and this will be a tough test. If Gronk wasn’t the biggest loss last year, it might have been Julio Jones for the Falcons. He might be the best receiver in the game aside from Megatron. He’s that important. And Steven Jackson was banged up last year too. This is a good team, who finally might have upgraded their offensive line and defense this off-season. If the Packers aren’t on their A-game, or at least B+ game, this could be a home loss. But I think McCarthy will outcoach Mike Smith, and the Packers will win again, 30-23, and move to 11-2. The Bills are another team who I think will struggle this season because of QB issues. They invested very heavily in Sammy Watkins in the 2014 Draft, and I think they spent too much. They also already suffered a huge loss with ILB Kiko Alonso blowing out his ACL this summer before training camp was even close. He’s done for the season. I see Buffalo losing 10+ games this year, including this one in the snow of December Buffalo. Packers beat the Bills 35-10. Packers move to 12-2, atop the NFC. 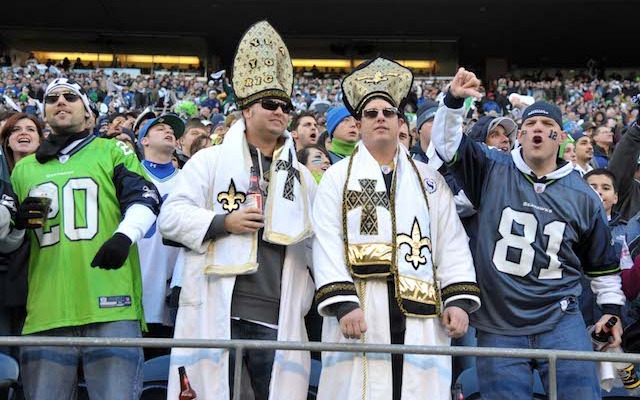 Saints lose this week at Chicago, while the Seahawks beat the 49ers. All three of those teams drop to 11-3, while the Bears move to 10-4. Here is the Cheesehead Nation winter-getaway game. Hopefully, the Buccaneers will struggle this year and give away all their seats to Packer fans. It is possible. They are picked for 4th place by most, 3rd at best. But I think Tampa Bay is improving and new coach Lovie Smith will turn them around. I just hope not this soon. I’d not be surprised to see Tampa Bay close to 7-7 by this week, but I hope they’re 5-9 or worse. Either way, look for the Packers to roll 34-7. Green Bay moves to 13-2, clinching a first-round bye, and keeping their #1 seed status with one game to go. Usually, the Lions are well in hibernation mode by now. Or meltdown mode. Colin Cowherd just made his predictions this morning and he has the Lions at 6-10 this year. I don’t think they’ll be that bad. I’d look for them to be 7-8 or 8-7 at this point as their offense is lethal. Megatron and Golden Tate at WR, with Ebron at TE, Reggie Bush at RB, and Stafford at QB. Remember, he threw for over 5,000 yards just a few seasons ago. And that defensive line is extremely talented. That being said, Matt Flynn beat them to finish 2011 at 15-1. Aaron Rodgers will beat them in the same place, same time, to finish 2014 also as the number one seed, this time a 14-2. Packers win 34- 23.
Who was the must underrated, or unfairly criticized Packers player the past decade? Who was/has been the most underrated (or over-criticized) Packer of the past decade? ~GREEN BAY—If the progress they made from the start of OTAs to the end of the June minicamp is any indication, late-round rookie receivers Jared Abbrederis and Jeff Janis are primed to make an impression in their first NFL training camp. Almost invisible in the first couple of OTAs open to reporters, Abbrederis and Janis began showing up a lot more often in the 11-on-11 work and modified seven-on-seven drills during the offseason-concluding minicamp. Snagging passes mostly from backup quarterbacks Matt Flynn, Scott Tolzien and Chase Rettig, the two late-round draft picks – Abbrederis was chosen in the fifth round, Janis in the seventh – appeared to be coming out of their rookie shell. Both guys expect to make significant contributions this year as rookies. Abbrederis’ leaping sideline catch of a Tolzien pass in the first minicamp practice, and then a TD grab on a quick out from Tolzien two days later were particular highlights. Janis snared a pinpoint sideline throw from Flynn between a cornerback and safety before the veteran QB took the last day off, and then Rettig found Janis on a pair of crossing routes in the final workout. Their steady progression is normal for rookies learning Mike McCarthy’s offense. As receivers become more comfortable with the playbook, pre-snap reads and route adjustments, the quarterbacks start finding them more. The real question is, can they keep it going in training camp, when the pads go on and the defensive backs do more jamming at the line? That’s a major element thrown into the mix for receivers, in addition to the pace of playbook installation picking up and not slowing down. Both rookies will get a look in the return game, too. Abbrederis took his share of punt-return reps during OTAs, while Janis was working as a kickoff returner. The two got to know each other through the pre-draft process, working out together in San Diego and then rooming together at the Senior Bowl. But their credentials differ. Abbrederis is smaller in stature (6-1, 195) and doesn’t have the size typical of recent Packers draftees at the position, such as Charles Johnson in 2013 or Davante Adams in the second round this year. He’s an accomplished Big Ten receiver, though, who took on some of the top cornerbacks in this draft while at Wisconsin (Ohio State’s Bradley Roby, Michigan State’s Darqueze Dennard) and produced. Janis, on the other hand, is bigger (6-3, 219) and tested off the charts physically as far as speed and strength, but he comes from Division II Saginaw Valley State and faces a monumental jump in the level of competition.